With crew changeover taking place today, a fresh batch of leggers have just touched down in Cape Town, eager to join their teams for the third race of the 2017-18 edition: The Southern Ocean Leg. Crew changeover is a significant milestone in a crew member’s the Clipper Race journey, and one that Jan Banfield has been looking forward to since a chance encounter with Clipper Race Founder and Chairman Sir Robin Knox-Johnston, CEO William Ward and Head of Communications Julia Fry at Hong Kong airport 18 months ago. Speaking about the chance meeting, Jan says: “William was sitting next to me at the airport and I just sort of nudged him and said ‘can I just let you know that’s Sir Robin Knox-Johnston over there!’ and he just said ‘yes I know, I am William Ward’. Like some 40 per cent of crew members, Jan had no sailing experience prior to signing up to the Clipper Race. She explains: “I had never sailed in my life. I have always been very sporty and enjoy a bit of a challenge. “After meeting Robin, William and Julia, I came home but couldn’t sleep. 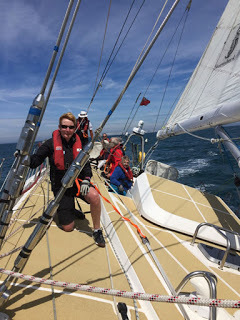 I dreamt about the Clipper Race every night, read about it, kept dreaming about it. My poor husband, Wilf, got so fed up he said ‘just do it!’. So, I signed up. And when it comes to her fellow Unicef crew mates, Jan could not be happier to jump on board with them. She adds: “The Unicef crew is just full of really nice people. They are so supportive, non-judgemental, and if you get something wrong, they don’t tell you off. Everybody just says, ‘right, let’s give you a hand’, and everyone has different skills. But for Jan there is an even greater incentive to get to Fremantle as quickly as possible, and that is to see her son and daughter-in-law, who live in the city. Jan explains: “We knew the fleet was going to be going to Western Australia, but we didn’t know when I signed up that it was going to be Fremantle so it all has fallen into place. Just the whole thing feels like it’s meant to be. 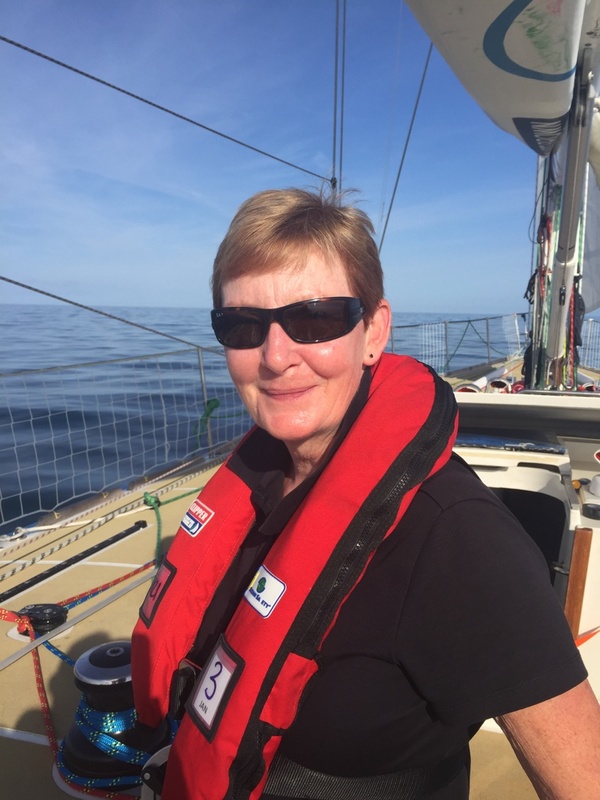 Whilst Jan is yet to begin racing, her Clipper Race has already been hugely rewarding, adding: “For me, it is not about me being Wilf’s wife of 40 years, it’s not about being a mother to our two wonderful kids, it’s not about being a nurse for 36 years. This is stripping all that away and this is just me. The Clipper Race will re-start on Tuesday 31 October and begin with the slipping lines ceremony at midday (local time). Keep up to speed with Jan and the rest of the Unicef team by visiting the Unicef Team Page on the Clipper Race website. Once the race has re-started, you can track progress on the Clipper Race Viewer.